Germany is worldwide the only producer of the German Lloyd (DNV-GL) approved CE models JF-120 Shark, JF-220 and JF-300. 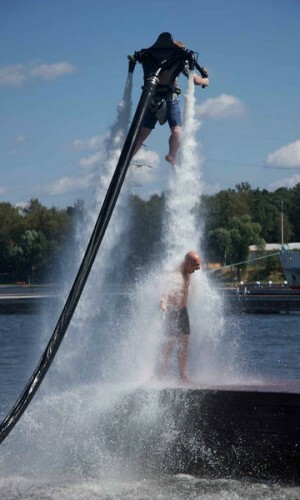 You can order your JETLEV-FLYER water jet pack products easily and conveniently from us. To make ordering as simple as possible, we handle the entire process for you, right through to delivery to your chosen address. Give us a call and speak directly to one of our customer service representatives. We are looking forward to take care of your needs.